It's Election Time Again, Collin County! 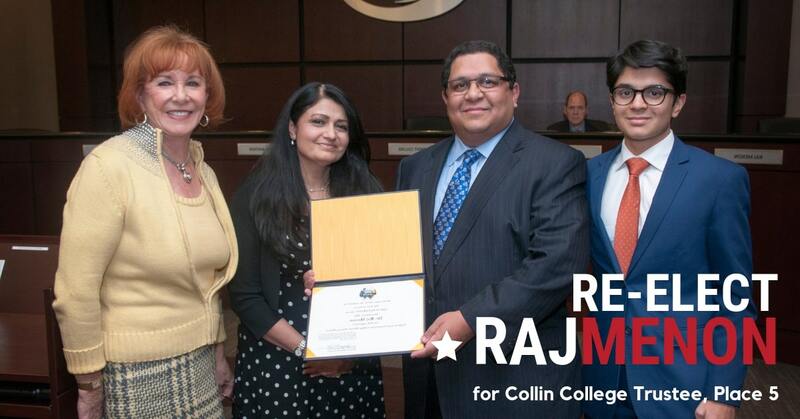 I am pleased to report that, as of January 16, 2019, I have officially filed the required paperwork for re-election to Place 5 on the Collin County Community College District Board of Trustees in the upcoming May 4, 2019 local elections. I hope to keep guiding Collin College‘s unparalleled progress in creating student success and building the workforce of the future and to continue my service to the community. Thank you all for your continued support. Please help me spread the word by sharing this message on your personal timeline and forwarding it via phone calls, emails, Facebook, Twitter and other social media outlets to voters in Collin County! In the May 6, 2017 Collin County elections, I ran unopposed and was humbled to receive nearly 30,000 affirmative votes from Collin County voters. In the board meeting to canvass results on Tuesday, May 15, 2017, the results were made official. 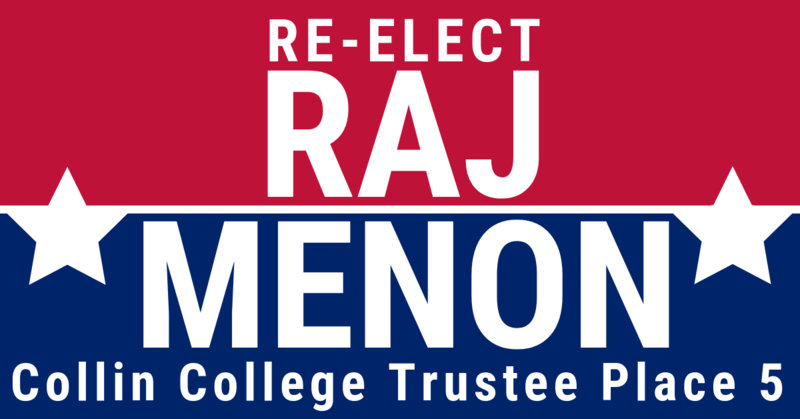 Let me take a moment to share with you my vision for Collin College, and the reason I am serving as your current Collin College Trustee, in Place 5. Those phrases have rung true, throughout my history in Collin County. Not only in serving you as a current member of the Collin College Board of Trustees, but also in service on many local boards and committees within the county. I am committed to continuing to demonstrate those qualities as your Collin College Trustee, Place 5. 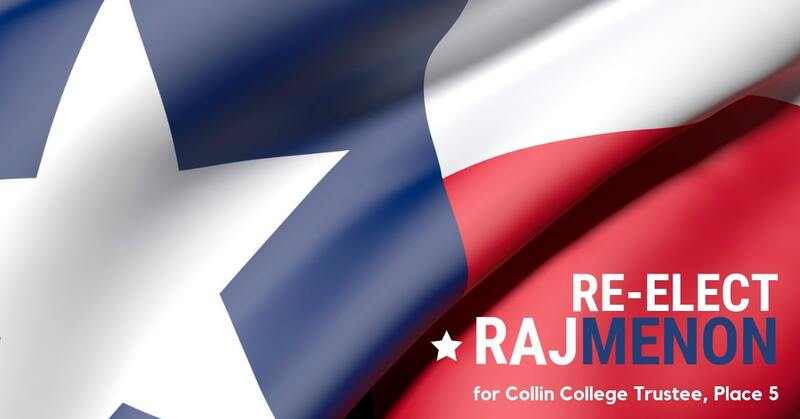 A passion for community service and a vision for Collin College that will ultimately make Collin County a better place are two of the main reasons for me to run in this election. My experience in working out differences and helping to build consensus has been a hallmark of my civic service. I consider myself very fortunate to be living and working in Collin County – consistently rated one of the best places in the country to live, work, and play; and I want to deliver the best of my capabilities and experience to make this a better community for all. Remember to follow my campaign on Facebook and on Twitter. I look forward to keeping the conversation going, and to your continued support.